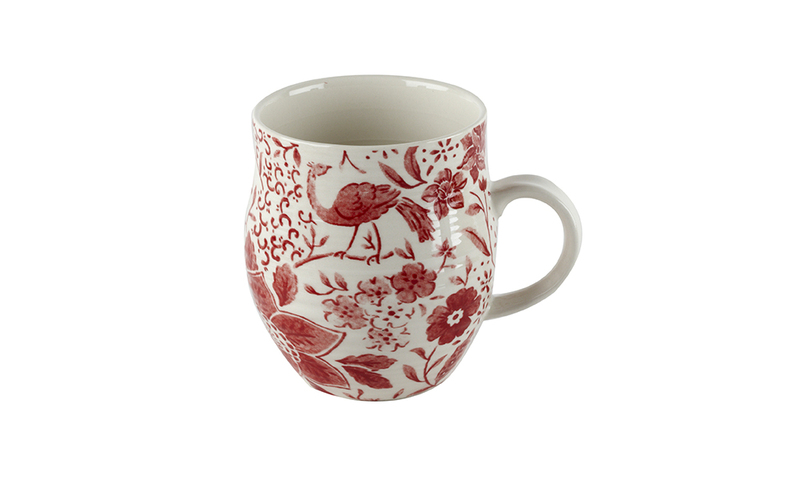 With lovely, intricate, red painted flowers and birds on a cream background, this Portobello Anglesey mug is perfect for a nature lover, and guaranteed to look charming in any setting. Crafted from high quality and durable stoneware with a beautiful gloss finish, it is microwave and dishwasher safe, making it practical for everyday use and convenient to clean. 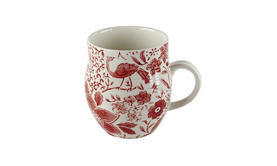 Ideal as a gift on any occasion, or simply to treat yourself, this gorgeous mug is the perfect addition to every home. This high quality Portobello Anglesey mug, made from AB grade stoneware with a shining gloss finish, is perfect for everyday use. A generously sized 11h x 13w cm, it comfortably holds 350ml - 400ml if filled to the brim. Perfect for when you need a large coffee!